Sounds interesting. A curious thing happened in my mind while I was reading this – the conbination of references to ‘Urth’ and ‘Curious Yellow’ (great name for a disease BTW) made me immediately thing of Vurt by Jeff Noon – another great futuristic book that despite it’s pre-internet publication date still presents a really intriguing world, also with an interesting lived online video game vibey thing. Thanks for reminding me of that! Yup, I’m a Vurt fan myself. 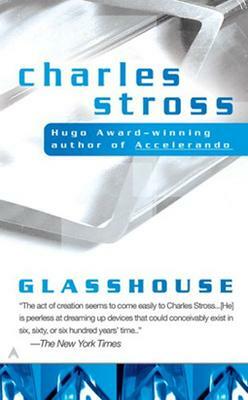 Noon is aiming for more of a mythic feel with his writing though, whereas Stross is a tech-head gamer who turned his experience with RPGs into a career writing futuristic fiction. I’m looking forward to checking out Accelarando, which was also recommended to me.